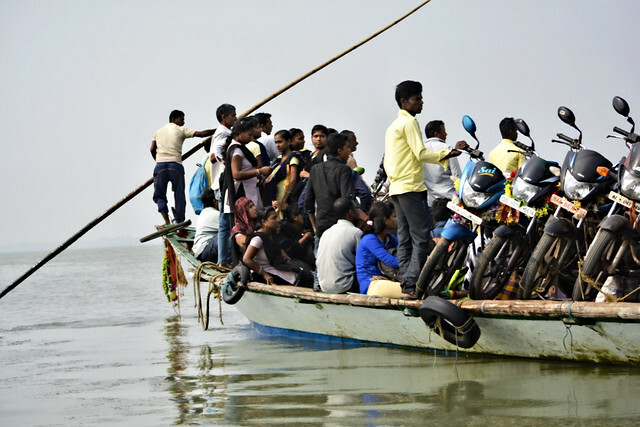 The opening of sea mouths in the Chilika is increasing the salinity of the lake, affecting the fish population and the livelihood of the fishing communities. A view of the Chilika in the evening. Lingaraj Jena is a worried man. At 86, he is one of the older fishermen in Berhampura village, an island on the Chilika lake in Odisha. 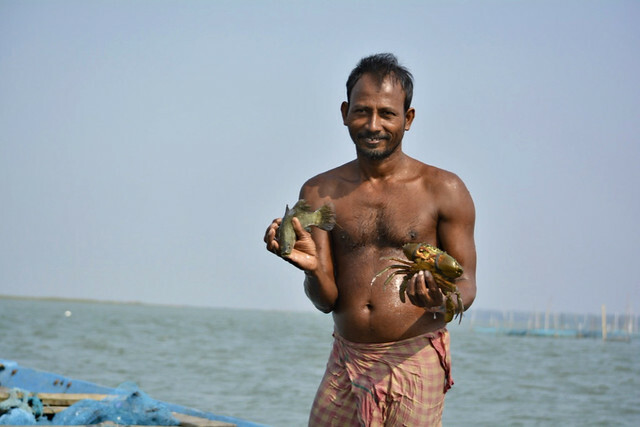 Though he no longer goes for fishing due to old age, he is worried about the opening of new sea mouths; he knows it is not good news for the fishing communities he is a part of that depend on the Chilika for their livelihood. If the government did not act on the people's concern urgently, he believes it could spell doom to the fisherfolk. The Chilika lagoon is situated on the east coast of India. It extends from the south-west corner of Puri and Khordha districts to the adjoining Ganjam district in Orissa. It is the largest brackish water lagoon in Asia with estuarine character and the largest wintering ground for migratory waterfowls on the Indian subcontinent. In 1981, Chilika became the first Ramsar site in India. It is a shallow lake with an average depth of 1.5 metres. It is connected to the Bay of Bengal by a 32-km-long, 1.5-km-wide outer channel and separated from it by a sandy ridge. The area of the lagoon varies between 1165 sq km and 906 sq km during monsoon and summer respectively. There are numerous islands like Mahisa, Berhampura, Nalabana, etc around the lake and the rich fishing grounds sustain the livelihood of more than 2,00,000 fisherfolk who live here. 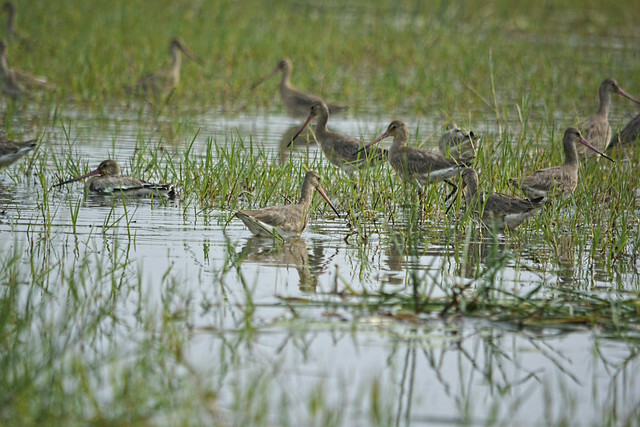 The Chilika lake is known to support biodiversity, including many endangered species. It is the wintering ground for more than 1,000,000 migratory birds and breeding and staging ground for nearly three dozen waterbird species. About 200 bird species have been identified of which about 100 are reportedly intercontinental migrants. There are around 225 species of fish and more than 500 other fauna species. As per a report from the Planning Commission, several hundred fish species have been identified (including commercially important species) in the lake; 40 percent of them are reportedly dependent on seawater migration. Rare species include the limbless skink (Barkudia Insularis) found only in Chilika and the Irrawaddy dolphin (Orcaella Brevirostris). Nearly 400 species of flora have been identified with some having medicinal properties and others being used for human consumption, as fodder for the livestock, for thatching, as food for fish and birds and also as nesting material. From the 1970s to 1990s, the Chilika experienced a drastic decline in salinity from the silt and sand choking its sea inlets, reducing the tidal inflow to a trickle. Freshwater flow from streams and rivers turned the Chilika into a freshwater lake. Invasive freshwater weeds proliferated and silt brought in by rivers made the lake even shallower. As a result, many commercial fish species disappeared and fishing dwindled. To restore the lake, the government of Odisha established Chilika Development Authority (CDA) in 1991. In 1993, the Ramsar site was declared as threatened wetland due to drastic ecological changes. The CDA commissioned various studies to understand the Chilika and it was found that the lake was suffering due to the closure of the sea mouth. Based on the findings of the study, in September 2000, the CDA dredged open the sea mouth between the Bay of Bengal and the lake. This resulted in the accumulated silt being flushed out to the sea, restoring the lake’s depth and salinity. The annual fish production increased significantly from 1600 tonnes to 13160 tonnes. The average annual fish catch in 2013 was 12,000 tonnes. The opening of the sea mouth has also resulted in the expansion of the Irrawaddy dolphin distribution in the Chilika. In 2002, with successful ecological restoration, the Chilika became the first and the only wetland in Asia to be removed from Montreux record of threatened wetlands with effect from November 11, 2003. In 2002, the CDA received the Ramsar Wetland Conservation Award for “outstanding contributions to wetlands conservation and sustainable use” as well as the Evian Special Prize. Since 2005, three new sea mouths opened naturally in the Chilika, changing the character of the lake once again. “Satisfied with the sustainable ecological restoration of the Chilika lake and the high-income levels of the communities depending on the lake, the CDA appears to have neglected the new mouths that opened,” says a geological study conducted by Dr R. Jagadiswara Rao. “The financial situation of the fisherfolks in the region started deteriorating due to the decline in fish production from increased salinity of the Chilika. Many fisherfolks in the area are leaving their fishing business and opting for other jobs. The fish production dropped from an average of 12,000 tonnes per year to 9000 tonnes,” says 54-year-old Krushna Chandra Jena, a local leader of the fishing communities in the region. The islands of the Chilika are still not very well connected. The only means of transportation is the boat. There are no medical facilities for the fishing communities and the other people living on the islands. Arsenic contaminates the drinking water in the region and safe drinking water is hardly available. “There are 15 hand pumps in Berhampura, but arsenic-free water is available only in two or three hand pumps. The Oxfam team conducted a water quality survey in the region and they shared this information with us,” says 35-year-old Tapan, a resident of Berhampura. 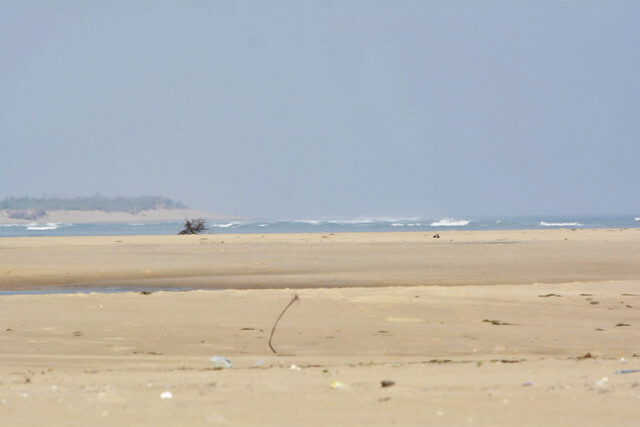 “Before the new sea mouths opened, the distance of the sea mouth from Berhampura was 20 km, but now it has reduced to only 5 km,” says a resident, Lingaraj Jena. 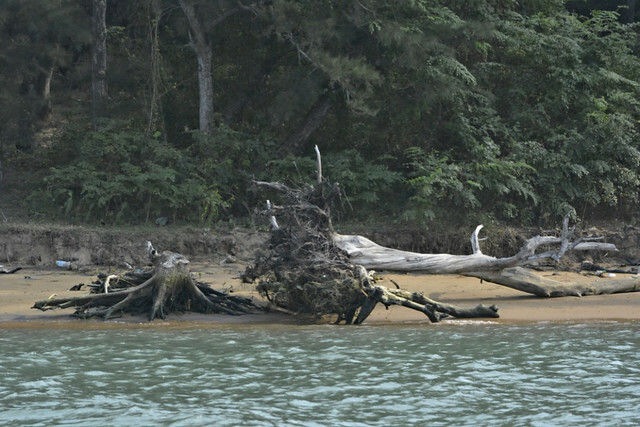 The lake has also been subjected to very high sedimentation due to erosion in its catchment. Today, the deepest part of the lake is only about 1.5 metres while 30 to 40 years ago, it was three to six metres deep. This is the direct fallout of siltation due to sand from the coast and silt carried from the sea by tidal action, rivers from eastern ghats and the Mahanadi distributaries. Mahanadi distributaries are the major contributors (75 percent) of the total sediments. Soil erosion is mainly contributed by overgrazing, illicit felling of trees and ruthless cutting, cultivation and clearance of vegetation for various purpose in the western catchment area. Siltation has led to the gradual reduction in the size of the lagoon. As per the local fisherfolks, many varieties of fish in the Chilika like siba, sunga, konti, karisa, nahamo, have vanished due to increased salinity. The rivers that used to fill the Chilika are now running out of water due to industrial and domestic consumption. Experts in the field feel that there is an urgent need for scientific intervention to resolve the issues of environment and livelihood around the Chilika. The CDA has to take the initiative once again to restore the lake and the environment. "Despite the CDA getting funds from the United Nations Environmental Programme to obtain the Chilika Lake Ecosystem Health Report Cards, both in 2012 and 2014, no effort has been made to study the degradation caused to the barrier island bordering the Chilika lake owing to the closure and the opening of the mouths," adds Dr Rao. You can read planning commission’s recommendations here. Please see more Chilika photos here.